Tom grew up in the business. Literally. He’s been doing odd jobs for Dietrich Homes since he was old enough to hold a paint brush and swing a hammer. Makes sense – the owner’s son always gets an early start on learning with the tools of the trade. Tom gained more experience beginning in the summer of 2000, when he worked for his uncle Brent as a framer at Dietrich Construction. In the summer of 2001, he worked for our custom cabinetmaker learning the cabinet trade. Tom joined Dietrich Homes full time in 2002, even though he was carrying a full load of credits at North Dakota State University. 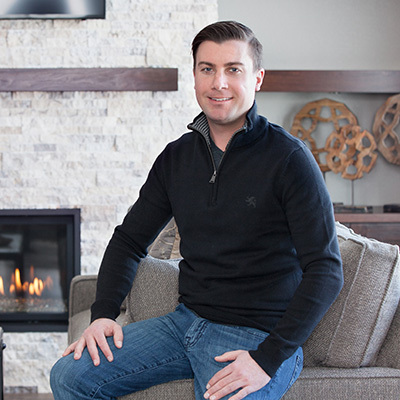 Along the way he’s learned just about all there is to know about home construction from Clay and other mentors on the Dietrich Homes team – framing, electrical, plumbing, siding, roofing, HVAC. Mostly, though, he focused on honing his finish carpentry skills. Tom completed his degree in business administration at NDSU in 2007. He became our vice president shortly after college and has recently become a partner in the business. As our construction manager, Tom starts nearly every day looking at challenges on a project, figuring out how to solve problems and finding a way to get the job done. He says that, at the end of each day, knowing he and his crew got it done is the greatest reward.